Homegrown cab aggregator Ola more than doubled its revenue in the year through March 2017 but reported a wider loss as it continued to spend heavily to fend off a challenge from US rival Uber Technologies Inc. The company’s consolidated operating revenue grew to Rs 1,177.8 crore in 2016-17 from Rs 500.5 crore the year before, according to filings with the Ministry of Corporate Affairs. Consolidated net loss widened to Rs 4,897.9 crore from Rs 3,147.9 crore. Consolidated total expenditure rose to Rs 5,183.6 crore from Rs 3,959.1 crore. The numbers are in sharp contrast to the estimates by Ola’s fair valuation adviser and highlight the challenges the ride-hailing company faces in turning a profit. Jain Ambavat & Associates, the audit firm Ola hired to assess its valuation last year, had estimated that the company would make a net loss of Rs 2,988 crore for 2016-17. It had also estimated that Ola would earn a net profit of as much as Rs 5,996 crore ($930 million) in the year through March 2021. An email seeking comment to Ola, operated by ANI Technologies Pvt. Ltd, did not elicit a response immediately. The company’s standalone operating revenue jumped to Rs 1,077.8 crore from Rs 494.5 crore in 2015-16. Standalone net loss expanded to Rs 4,816.9 crore from Rs 3,120.8 crore. Earlier this month, TechCircle reported that Ola Fleet Technologies Pvt. Ltd, the cab-leasing arm of Ola, had posted a steep rise in revenue for 2016-17 but widened its loss due to higher costs. Ola Fleet’s standalone operating revenue rose 18 times to Rs 98.4 crore in 2016-17 while net loss widened to Rs 71 crore from Rs 13.3 crore in 2015-16. Total expenditure jumped to Rs 171.6 crore from Rs 22.5 crore. Bhavish Aggarwal-led Ola has so far raised nearly $2 billion in overall funding and is valued at more than $4 billion, according to VCCircle estimates. 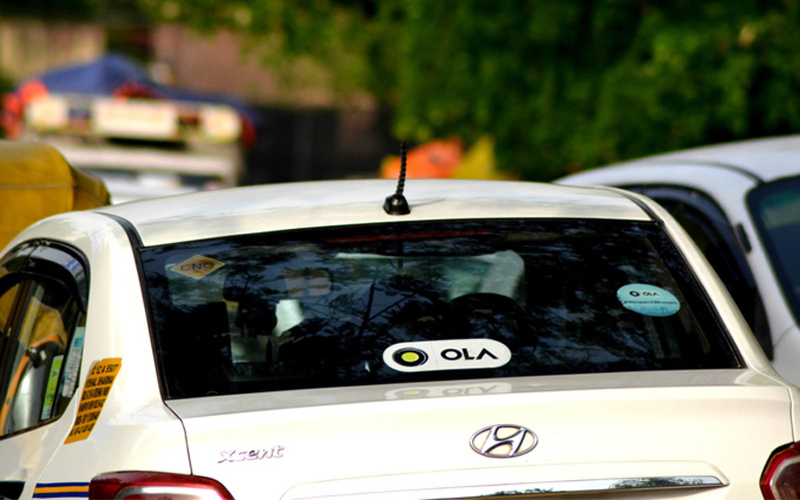 In October last year, Ola had raised $1.1 billion (Rs 7,174 crore) from investors including China’s Tencent Holdings Ltd and Japan's SoftBank and added that it was in advanced talks to raise another $1 billion. Ola and rival Uber are locked in a fierce battle and have burnt a massive amount of capital in recent years to gain an upper hand in India’s growing ride-hailing market. Uber, which has been saddled with losses, earlier this year promised to double down on its investments in India.